Going abroad for the first time can be both exciting and scary. You will be nervous and the feeling of excitement and fear will make you more hysterical. Well, you are not alone. It happens with every time. You just concentrate on your upcoming trip and dream about the adventures you are going to take. I understand how much it is fascinating to packing bag for an international trip. The first and foremost thing you should be concern about is, on off chance if you haven’t decided your destination yet, choose one. While choosing for a destination, focus on your requirement, which means what kind of activity you are going to experience during your stay and what kind of adventures you want to have. It is up to you to select the destination as I am here to give you some tips to prepare before your trip. Are you expecting me to start with packing bags? No use of packing bags, until you don’t have a valid passport or have no passport. In case, if you don’t have passport, apply for it as quickly as possible. If you have one, check for the validity. Though, the passport validity requirements may vary country to country, but the standard validity duration is six months. No. Not yet packing bags saga. After passport, here comes the most important part and that is visa. Since all your dreams and plans depend on this ultimate requirement, so you can’t proceed without it. There are a few countries which don’t require any visa for Indian travelers and all hail to the diplomatic relations the governments of both countries have developed. But if you are visiting to a country, which requires visa, you can go through the website of the country’s embassy to know the requirements. 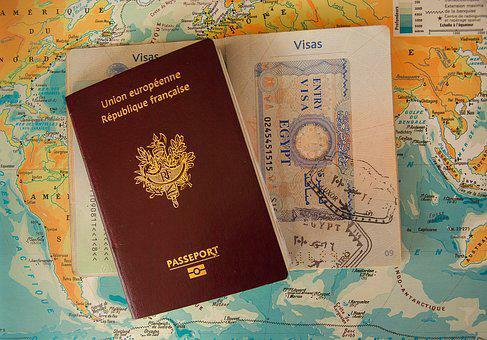 Obtaining a visa can be a stressful task. Be careful and contact the embassy or consulate of the country you are visiting to know the criteria of documents while applying for a visa. Contact Emirates Visa Consultant in Delhi to speed-up the process and get the approval without any hassle. If you are planning to visit a place during its peak season to welcome tourists, there is a chance that the prices of flights and hotels may get bit expensive. If you have a limited budget, you can visit your dream land anytime you wish. Pre-booking of flight tickets can save you more bucks. The lowest flight tickets are offered 4 months before the actual departure date. Insurance is something which should be our top most priority. But we often overlook it. When we don’t take insurance for other facilities, why would we opt for the travel insurance. Rather invest the money on the trip. Right? But we haven’t seen the future and in case, if you have to face a medical emergency like accident, natural disaster, lost your money or something related to these, there will be no one in an alien land to extend you a helping hand. At that moment, you can claim your travel insurance to be your savior. In terms of vaccination, talk to your physician and let him know about your trip to the place. The physicians are well-aware of the various vaccinations, you may need during your trip to the place. Get yourself vaccinated prior to your journey. Make sure you check the conversion rate and do a little math to get a sense before you travel. You can exchange your currency at the airport. From booking flights tickets, both onward and inward, accommodation expenses, restaurant bills, local transport during sightseeing, shopping and other expenses during your trip, you have to calculate everything and make an estimated budget. Every airline has their own sets of terms and conditions regarding luggage. The exact weight you can carry in your flight will be mentioned in your ticket. Read it thoroughly to avoid additional charges. Take the weather into account and according to it pack your clothes. It’s great to socialize with other tourists to make yourself comfortable. Talk to the hotel staff you are staying, the taxi driver, your co-passenger and others to feel yourself at home.